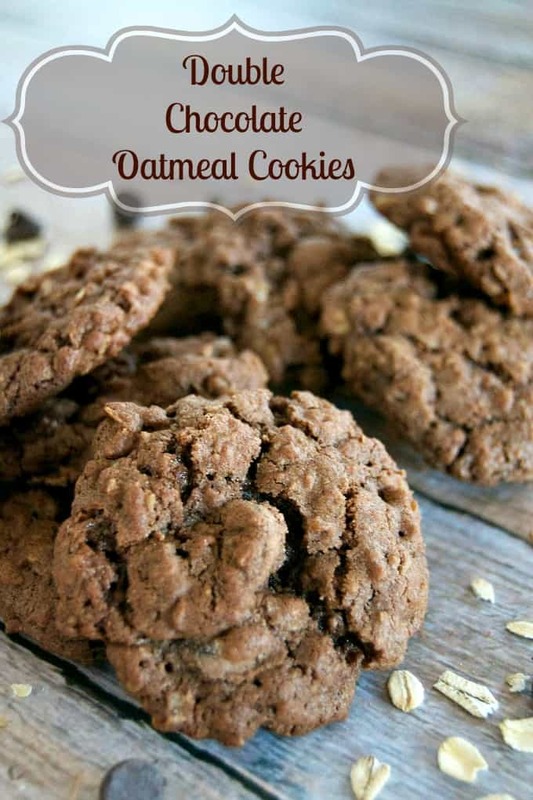 WHY did I never think of adding chocolate to my oatmeal cookies before this???!! 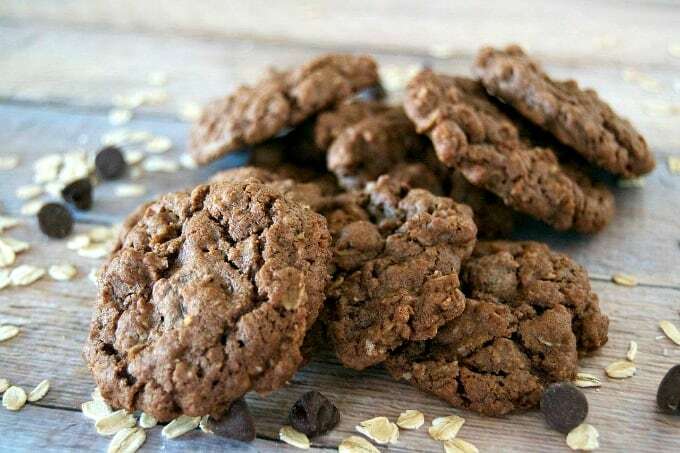 Chocolate in anything is good, but in an oatmeal cookie?! I’m posting this recipe as the first installment to a wonderful new group that I’ve joined with some pretty sensational bloggers called ‘Cookie of the Month’! 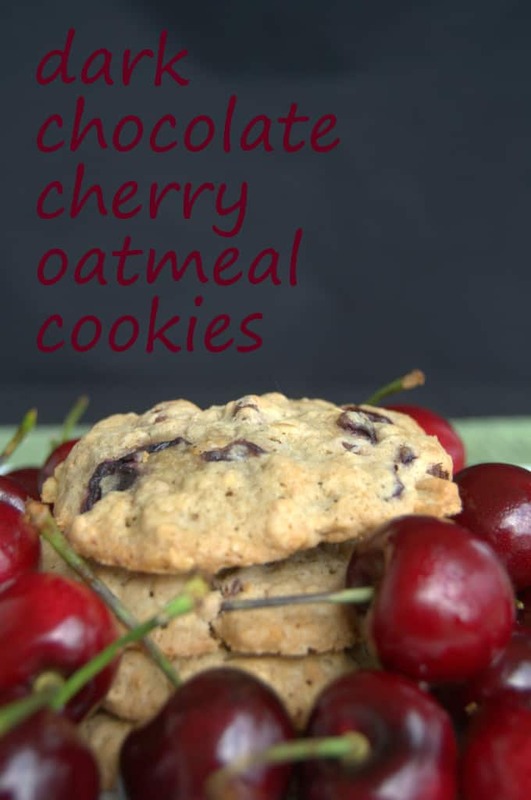 We are a group of blogger who have gotten together to bring our fantastic readers one cookie recipe a month. This cookie recipe has to contain a certain ingredient and we need to come up with a recipe using it. This month…no, it wasn’t chocolate. It was oatmeal! I’m excited to see what next month brings. 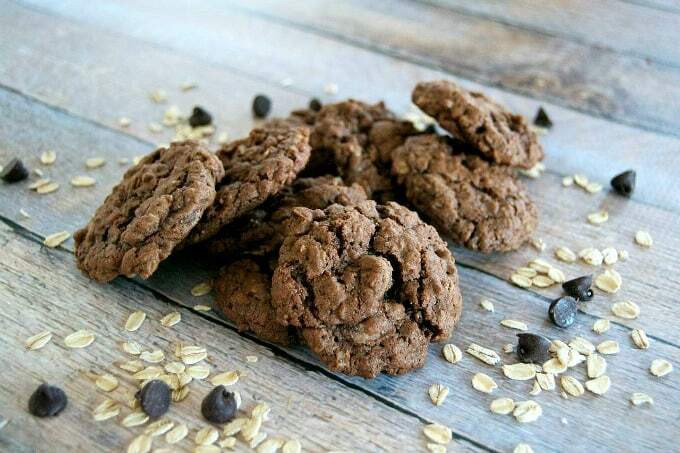 The group was started by Jennifer of Jen’s Favorite Cookies and you’ll be able to see what she and other bloggers have made by clicking the links below! This month is a little sparse because of the holidays and all, January 5th came up REAL quick like! 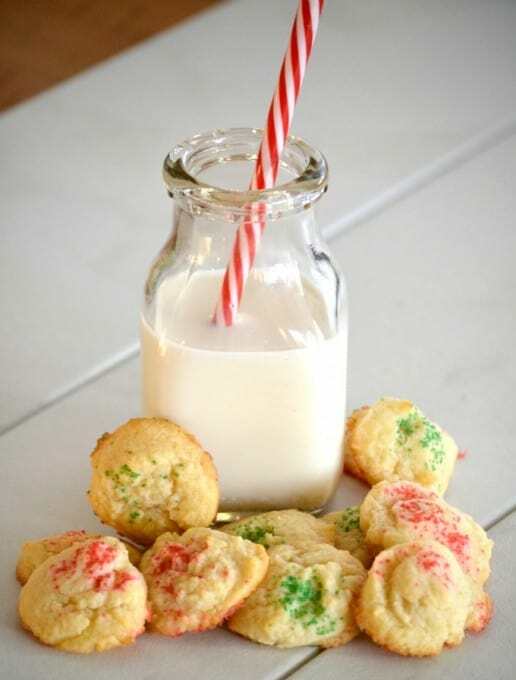 Next month we’ll have plenty of yummy cookies for you to drool over. In the bowl of a mixer fitted with the paddle attachment, cream butter and sugars together, about 4 minutes. Drop by rounded tablespoonfuls onto a baking sheet and bake for 8-10 minutes, until set. I sometimes rate things I make on a scale of 1-4 with 4 being the best and these Double Chocolate Chip Cookies earned 3 1/2 rolling pins! I just really cannot believe I haven’t made these before now. Well, I suppose there’s a right time for everything and these wonderful cookies weren’t supposed to be a part of my life until now, so there you go. This recipe has been shared at the link party, Time To Sparkle #94 at Inside BruCrew Life! Check all of the incredible recipes and ideas shared from other bloggers there! I love oats and chocolate together! These look fantastic! Those look really delicious – yum! Going to give this a try. Brilliant! 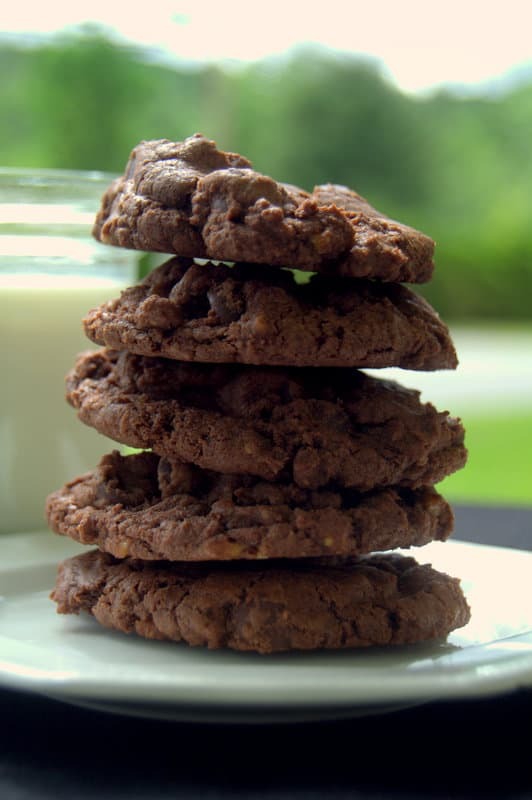 I’ve had chocolate chip oatmeal cookies but not double chocolate. Love it! All these need to achieve total perfection is a big glass of milk for dunking! 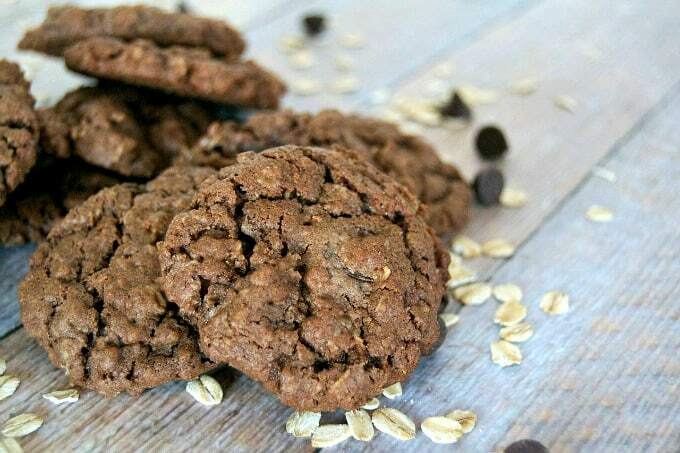 Double chocolate always gets me 🙂 These cookies sound awesome! Would love to add walnuts/raisins to the mixture…sounds good? Miss SG, you could definitely do that. What a great idea! Can I use quick cooking oats instead? Ramsha, unfortunately, the family started eating them before I could get a count. I’m thinking around three dozen give or take. Oatmeal is always great. I will try your recipe for my breakfast. I tried this recipe today with the following changes. 1/2 cup butter and 1/4 cup Natural Peanut Butter, 1 cup flour(instead of 1 1/2-I used 1/2 white whole wheat flour), 1 1/4 cup sugar(2 cups seemed like a lot). They are delicious!! They didn’t spread quite as nicely as the picture, probably due to less sugar. However, I know 2 cups would have been too sweet for me. I will probably use 1/4-1/2 cup less oatmeal next time and they will be perfect. That’s awesome! Thanks so much for commenting and letting me know. I like the idea of cutting down on the sugar as I think it was a bit too sweet for me as well. These cookies are absolutely fantastic. This is my second time to make them – even the dough is good. After two failed attempts at cookies earlier today, this recipe is the perfect one to adjust my frazzled state. Thank you! Oh, Athelas, I’m so glad to hear that, but sorry for your frazzled state! Thank you so much for letting me know. Just made these! So delish! I used mini chocolate chips and steel cut oats since that what’s I had and love them!!!! Resisting from eating all the batter!